KAMPALA Uganda—South Sudan accused Sudan on Wednesday of attacking its oil-rich border regions where government forces of the world's youngest nation are struggling to put down a rebellion. Military spokesman Col. Philip Aguer said Sudanese warplanes carried out bombing raids in the past two days against targets in the north central state of Unity, where forces loyal to President Salva Kiir have been battling supporters of Mr. Kir's former deputy, Riek Machar. "We have been caught by surprise and there is no explanation from Khartoum" said Col. Aguer, referring to the Sudanese government of President Omar al-Bashir. "These provocations must stop." Col. Aguer also said Sudan is amassing ground troops in several disputed regions along the border—a clear indication, he said, of Khartoum's intention to redraw the border by force. Both countries regularly accuse each other of violating their poorly demarcated 1,120-mile border and of supporting antigovernment rebels on their territory. If Col. Aguer's allegations are confirmed, it would be the first time Sudanese forces had attacked Unity since the start of the uprising. A Sudanese government spokesman denied his country's military had made any forays into South Sudanese territory. 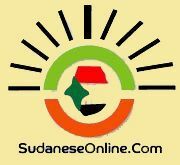 "Our forces we have not entered any South JuSudanese territory," said Rabie Abdelaty, adding that the Sudanese army is conducting operations in the border areas only against what he called rebel elements. After almost continuous fighting between north and south following Sudan's independence from Great Britain in 1956, the south became a separate nation three years ago. Since then, tensions have rarely subsided, with a full-scale war nearly breaking out in early 2012. Wednesday's claims and counterclaims occurred just a few days after Mr. Kiir held talks about the security situation with President Omar al-Bashir in the Sudanese capital Khartoum. Mr. Kiir also visited neighboring Uganda on Tuesday for discussions with President Yoweri Museveni. Uganda deployed soldiers in South Sudan in December last year to help Mr. Kiir's forces fight insurgents supporting Mr. Machar. Since then Ugandan troops have helped South Sudanese troops recapture key regions from Mr. Machar's fighters, but clashes continue in Upper Nile State, which hosts the country's only operating oil fields. The oil fields in Unity, the location of alleged attacks by Khartoum forces, formerly produced 45,000 barrels a day. But pumping has stopped since December 2013, days after the outbreak of fighting between fighters supporting Mr. Kiir and Mr. Machar. Landlocked South Sudan ships all of its crude oil exports through a pipeline that straddles its frontier with Sudan. Due to the fighting, oil exports has dropped from about 245,000 to 160,000 barrels a day.